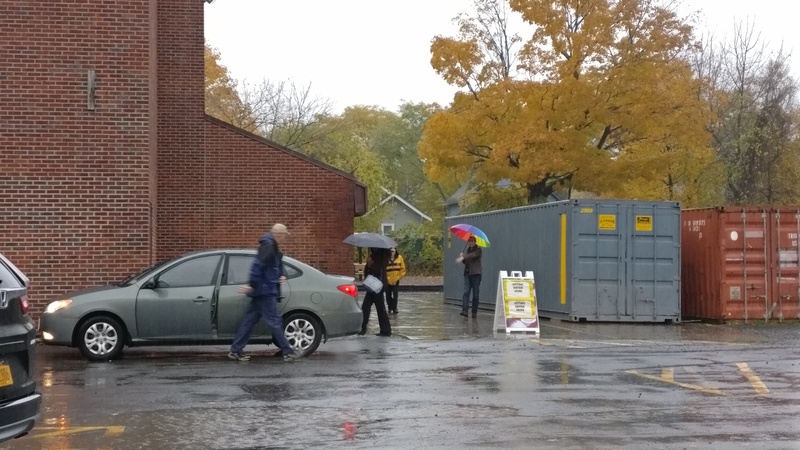 On a cold, humid Tuesday morning, the parking lot of Huntington School began to fill with cars as residents of Eastwood prepared to cast their votes. The polling station is located inside the school’s gym, right next to the parking lot. Multiple families walk towards the gym with parents holding their children’s’ hands, pointing towards the sign outside the gym that reads “VOTING ENTER HERE.” Children, wearing colorful raincoats, splashed in puddles around the parking lot on their way to the door. 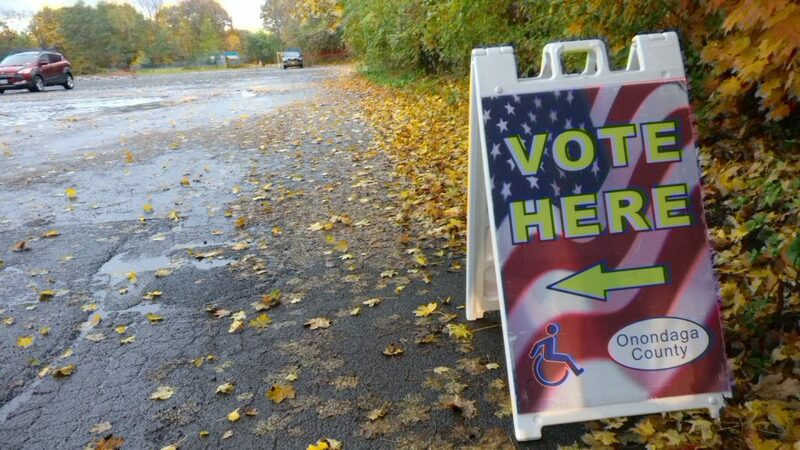 For Todd Long, an advocate for the homeless at Volunteer Lawyers Project of Onondaga County, Inc., bringing his daughter, Poppy, to the polls is as critical as voting itself. “I think that it’s important for me to bring her with me because building the habit of voting is important if you want to have a society of people who participate in the government,” Long said. Mark Miller, 63, and his 26-year-old son, Mark Miller Jr., have voted together in three previous elections. One of the youngest people at the polls was a 9-month-old child of Ingrid Hansen, 36, and Adam Cummings, 36. The couple have been voting at this polling station since 2016. “We’ve brought them every time we could,” Cummins said. “It’s kind of how we have to do things on our way to childcare,” Hansen added, pushing a stroller on the way to their car.